I wrote already about the reason for my family all getting together, that of celebrating our grandparents’ 60th wedding anniversary. Today I wanted to devote a post to the rest of the celebration. Initially, my grandmother was worried that no one would be in town for their party, but we decided that would ultimately be ok because we were so thrilled to be together as a family. Growing up, we assembled the whole posse in Colorado every other year for a reunion. But then college came, and summers were consumed by internships, jobs, travels, and it just seemed impossible. Getting all the Coleman children, grandchildren, and great grandchildren, together proved a task, but my mother is a party planning fiend and she made it happen. There is something special about family ties, something that makes us overlook or embrace the eccentricities in each other because we are family. Generations blend when the whole family is together and I found myself catching crawfish in the creek in between my government engineer uncle, chic New York hair stylish cousin, and bubbly 5 year old second cousin. We picked mulberries and watched videos accomplishments from this past year. Everyone rode horses and swam until we were duly sunburned. There were always arms to hold the baby, or chase down a little one. We all got Tony and Guy hair cuts from the New York cousins. I insisted on a family photoshoot, as the likelihood of getting everyone together again soon seems slim. First, the oldest Coleman child, Alathea, her husband Jim, their children and grandchildren, Whitney, Peter, Mabel and Emerson. Next is my mom and dad and Zach and Lyman. Unfortunately, Zach is still in England so we grabbed just two family shots before I went back to photographing everyone else. 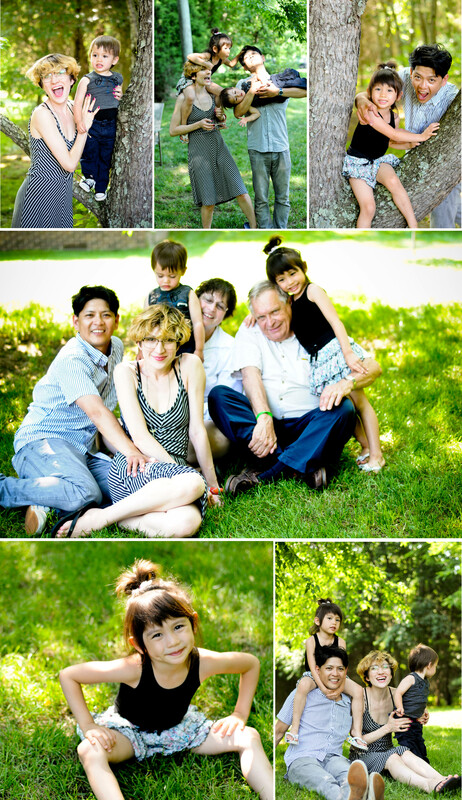 (You can see more Stone family photos from our Christmas impromptu photo shoot here.) Last is my Uncle Jimmy, the baby of the family. He and my Aunt Shirley have a fun pack of 6 kids. In order from oldest to youngest they are Juliana, Josh, Elijah, Isabelle, Abram, and Sophia. 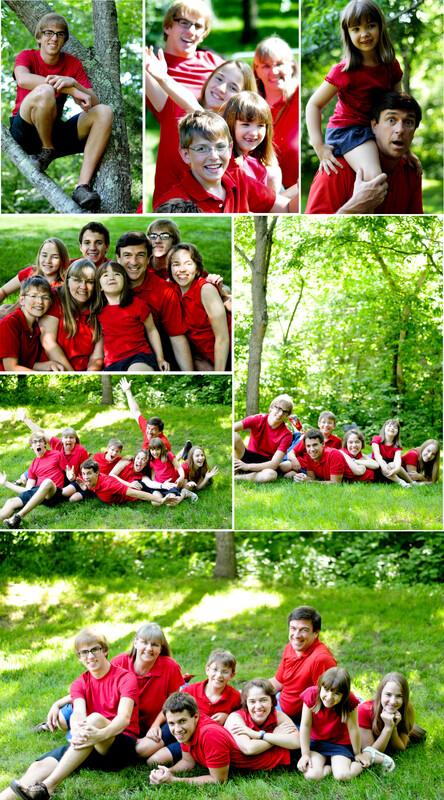 They usually roll up in matching Hawaiian shirts for these sorts of gatherings, but I requested the more subdued red. Maybe this was how it was supposed to be, families staying together and having different generations to pick up the slack and fill in the gaps. I know that our mobile generation makes this virtually impossible, but I think it is the best idea, the happiest plan. So here is a tribute to endless trains games, mulberry smeared faces, ice cream parties, late night stories, family photos, matching shirts, sticky hands, messy houses, loud laughter, summer cookouts, quarrelling children, muddy feet, marco polo, rope swings, and family. 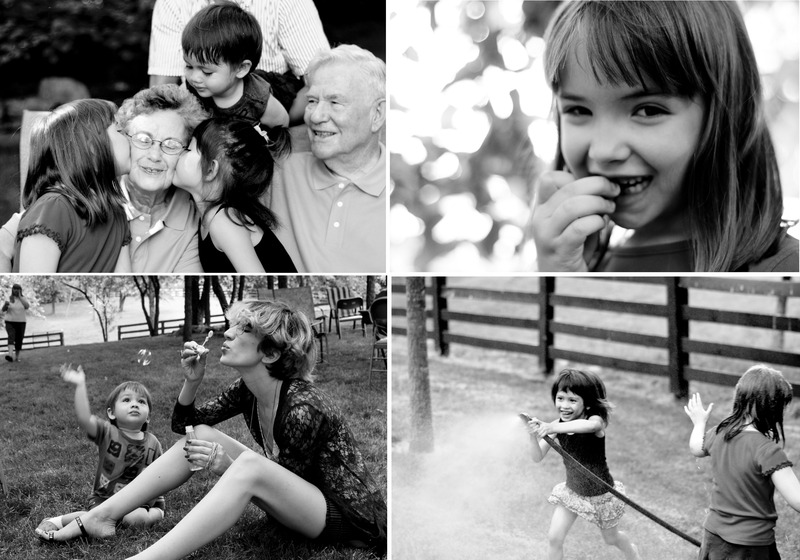 This entry was posted in Uncategorized and tagged family, kentucky, photography, summer. Bookmark the permalink. i LOVE this. 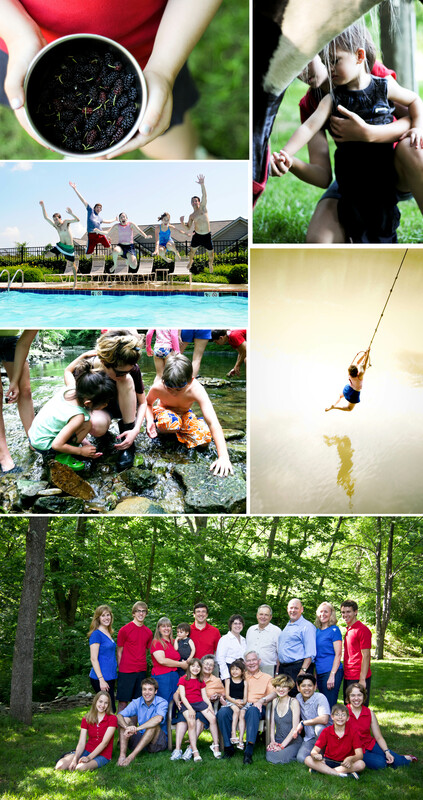 and that pic of the rope swing…i maybe kinda wanna hang it in my house.